During Rick Ross’s 36th Birthday party at Club Amnesia in Miami, Dr. Dre broke out his lavish present, a $100,000 Hublot watch! Guest also included Ne-Yo, DJ Khaled, DJ Camillo, Diddy, Cassie, Styles P and Wale. Hublot watches are synonymous with sophistication, style and elegance – always very classy and fabulous gift. 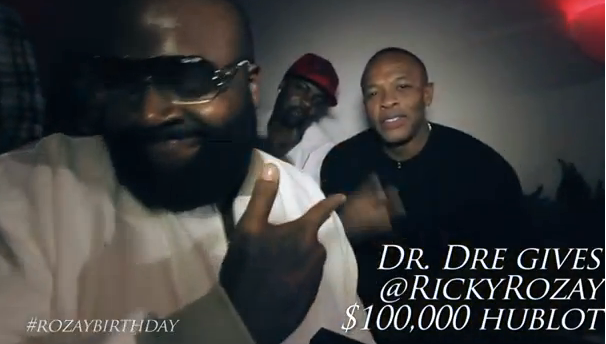 Visit HauteTime.com to check out the MMG video of Rozay getting his party, directed by Dre Films.